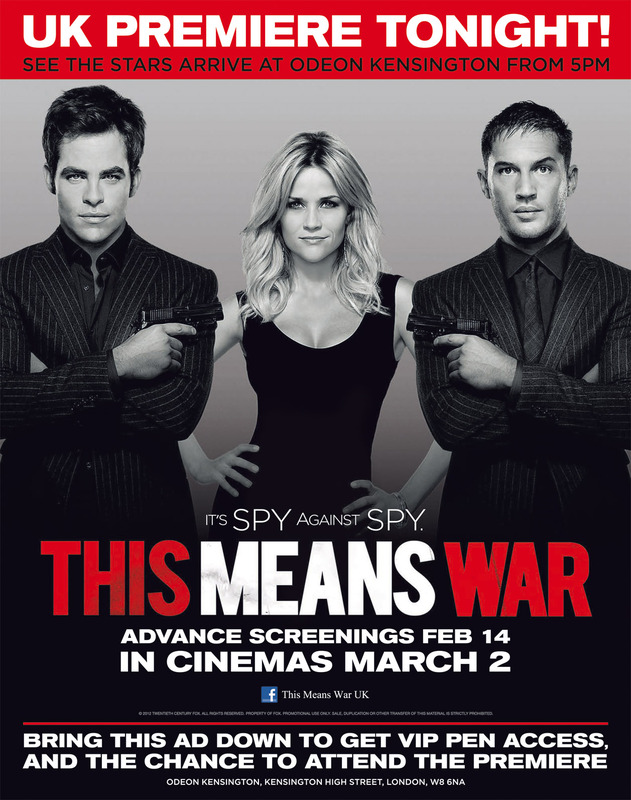 The Establishing Shot: The Establishing Shot: Want to go to the This Means War UK Premiere tonight? 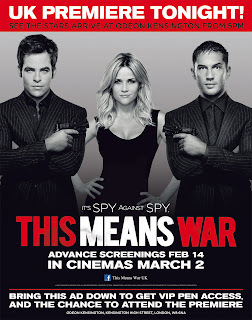 The Establishing Shot: Want to go to the This Means War UK Premiere tonight? 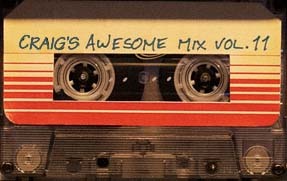 The stars of This Means War will be gathering in Kensington, London tonight for the UK Premiere of Twentieth Century Fox's upcoming action-comedy This Means War, starring the tantalising trio of Tom Hardy, Chris Pine and Reese Witherspoon and directed by McG, all of whom are set to attend. 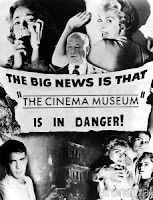 Eager fans will be able to bag themselves a spot in a special VIP crowd area along the red carpet on presentation of the special flyer below, with the promise that a lucky few may even make it inside to see the film. This Means War will now be released in UK cinemas on 2nd March.